The UAE is popularly-known as a safe haven in the world of business. Rightly so. Be it property, banking and finance, tourism, trade and travel, the UAE – Dubai to be precise – attracts foreign direct investments in a host of sectors from investors across different nationalities across all the continents. This fact was underscored further in the recently-released study, claiming that the Emirates is the among the safest countries in the Asia-Pacific and Middle East regions to do business in – nearly at par with South Korea, Singapore, Japan and other developed countries. “The UAE is near the top for the region in terms of having the lowest business costs of terrorism. In addition, Korea and Singapore are near the top in the region for life expectancy, while UAE has the lowest incidence of tuberculosis. In addition, Singapore, Japan, and the UAE, and South Korea rank among the top four in terms of protection of human health from environmental risks, and UAE has the lowest per capita natural disaster deaths,” revealed the Pinkerton Risk Index Report, the Michigan-based unit of Securitas AB in a recent report. Now the establishment of recently-announced Dubai Wholesale City will augment the emirate’s position among the cities who matter for the big businesses. Even in the event of an economic or political volatility in the region, the first and foremost choice for the regional investors is the UAE – or Dubai to be to be precise. Thanks to the investor-friendly policies, stable government, progressive policies, state-of-the-art infrastructure, least crime rate in the world, the UAE’s status as a safe haven gains further credence to prove the point that the UAE is, indisputably, among the the safest country to do business. The index uses data based on factors including natural disasters, disease, terrorism, social unrest and economic problems. In the category of Hazard, Event, Operational and Physical Risks, the UAE is rated fourth safest country after Japan, Singapore and South Korea in the Asia-Pacific and Middle East. Similarly, in the Technology, Information, Market and Economics Risk, the UAE is perceived to be a strong and stable country for investments in these sectors. 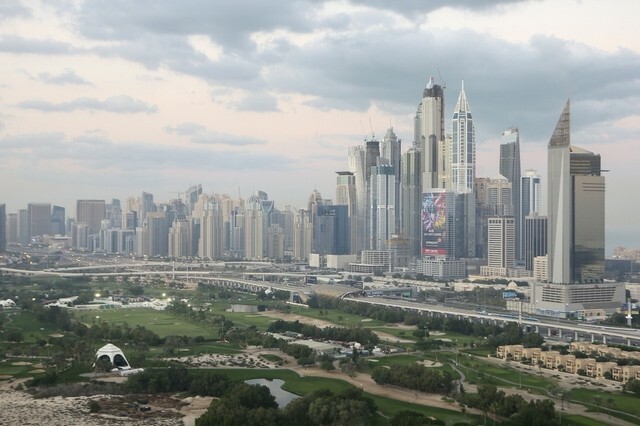 The UAE is rated fifth in the Asia-Pacific and Middle East regions, leading all the countries in both the regions except Singapore, Japan, Hong Kong and Taiwan. Globally, Singapore is the safest nation to do business, followed by Switzerland according to global risk management company Pinkerton’s new tool to help corporate clients assess threats on a country-by-country basis.